That’s when he sees a struggling woman in the back seat of the silver car, her eyes pleading for help, and he knows his family are in terrible danger. In the blink of an eye, the Parr’s ordinary lives are plunged into an unimaginable nightmare. With nowhere to run, and the whole family at risk, does Adam have what it takes to lead his loved ones to safety? A gripping and addictive thriller with plenty of twists. If you love Harlan Coben, James Patterson or Robert Dugoni, you’ll be completely hooked. I had a hard time getting into the story, because I didn't found it very believable. It was good though, but couldn't grip me as I wanted it to be. This story had me gripped within the first few pages & then I just couldn’t put it down. Fast paced & exciting. Nail biting experience - Recommend!!! 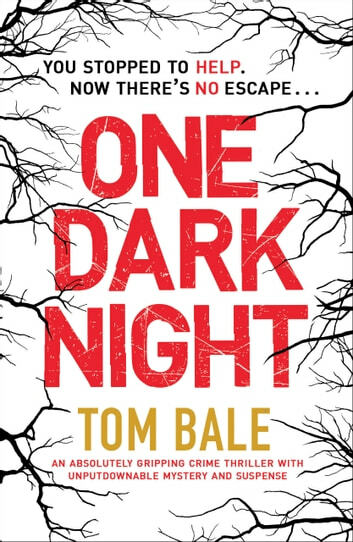 Thank you Netgalley for the opportunity to preview ONE DARK NIGHT by Tom Bale. A family is driving along the road after enjoying a great day together. Adam, his wife, Katy and their two kids are tired and on the way home when a car almost hits them. The husband, Adam, gets angry and follows the car to confront the driver. But all hell breaks lose when they stop - the husband hears a cry for help from the car from a woman in the back seat. Adam tries to make a quick getaway, but the men in the car overtake them and kidnap the family. They are taken to a farmhouse where they are put in the basement with the woman in the car. How can this happen - they have just enjoyed a wonderful day, they were on their way home, and now they sit in a dark basement - prisoners. Adam and Katy soon find out that the woman in the car, Carole, was taken from her home. Her husband was killed by these men. She claims to not know why she was taken, but soon they all discover that these men are dangerous. Adam and Katy's young children are frightened and cannot understand what is going on. While trying to make things somewhat normal for them, it is impossible to fathom that they are in this situation. Adam and Katy meet with their captors - four men and an older woman who tell them they must go along with them because they have a plan that involves Carole and a ransome. They are told they will be released in a day or two, but Adam and Katy know that they have seen their faces. Can they escape? Will they be released? Can they get out of this nightmare? This is a rollercoaster ride and a good one. 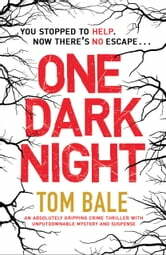 An ordinary family on an ordinary day wind up in a nightmare -= I loved this book. Good writing and solid plot - Recommend. Overall I found it was a gripping story but I thought it was a slow beginning however I carried on and was able to enjoy it.